U.S. Air Force photo/Airman 1st Class Thomas Spangler - Use of U.S. Department of Defense (DoD) visual information does not imply or constitute DoD endorsement. 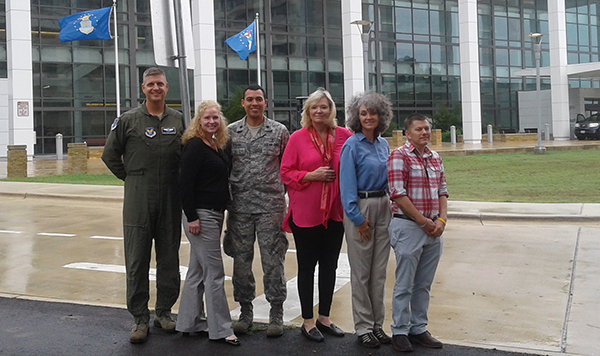 Dr Kim Bradley (second from right) and the Invisible Wounds Interim Medical Review Panel at Lackland AFB. San Antonio, TX — Argent Technologies, LLC new hire, Dr Kimberly Bradley, has joined the Invisible Wounds Team at Lackland AFB. 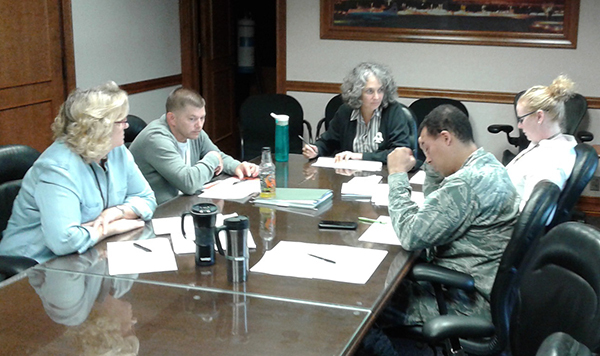 Dr Kim Bradley (head of table) in coference with the Invisible Wounds Interim Medical Review Panel at Lackland AFB. January 2017 to medically review all cases of Total Force Airmen with Post-Traumatic Stress Disorder (PTSD) or Traumatic Brain Injury (TBI) currently recommended for disability processing through the Department of Veteran’s Affairs (VA)/DOD Integrated Disability Evaluation System (IDES). The objective of the panel is to gain understanding from the experiences and to review the quality of care provided to Total Force Airmen currently referred for disability processing with the specific diagnoses of PTSD and/or TBI. Over the first 180 days of activity, from 17 January 2017 through 19 July 2017, the panel completed reviews of 232 of the available 242 cases (96%). Board members include an aerospace medicine board-certified flight surgeon, a board-certified general psychiatrist, a board-certified neurologist, a psychiatric case management nurse, and an administrative technician. San Antonio, TX — Argent Technologies, LLC (AT, LLC) has been awarded a new contract to provide a Flight Medicine Physician to the United States Air Force. Contract number FA4801-16-F-0003 was awarded to AT, LLC to fill a vacancy at Holloman Air Force Base, just south of Alamogordo, New Mexico. This position is for a Flight Medicine Physician in support of the 49th Medical Group. San Antonio, TX — Argent Technologies, LLC (AT, LLC) has been awarded new contracts to provide Aerospace Medical Physicians at Columbus AFB, Randolph AFB, and Little Rock AFB. AT, LLC now holds a total of seven direct award contracts with the US Armed Forces. They are also currently bidding on an additional five contracts. 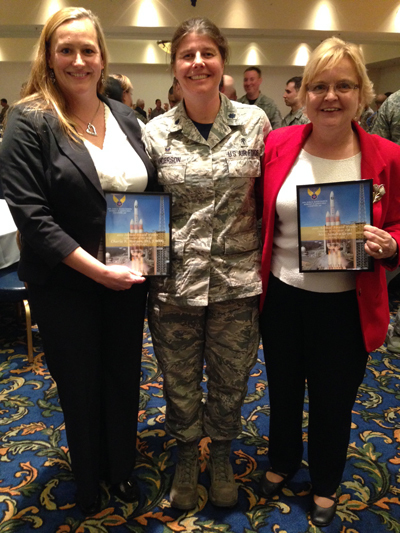 Vandenberg AFB, CA — Dr. Charla Morgan (left in photo) was recently recognized as the 2015 Annual Award Winner for Contractor of the Year at Vandenberg AFB, CA. Dr. Morgan is an Argent Technologies, LLC contractor. San Antonio, TX — Argent Technologies, LLC continues to grow as a provider of Aeromedical physicians with multiple contracts as the prime contractor to USG and as a subcontractor with our CLASS partners. As of early June, 2014 AT, LLC officially fills over 62% of all contract billets for aeromedical physicians in the USAF. This milestone shows the remarkable level of penetration into this market share by AT, LLC and greatly exceeds our pro-forma and corporate strategic goals. AT, LLC currently has a number of positions open for flight surgeons, as well as other physician specialties and many other technology personnel. They are also are seeking instructor pilots for the F-15C & E, the C-130, helicopter pilots, maintenance personnel and a myriad of other skill sets. 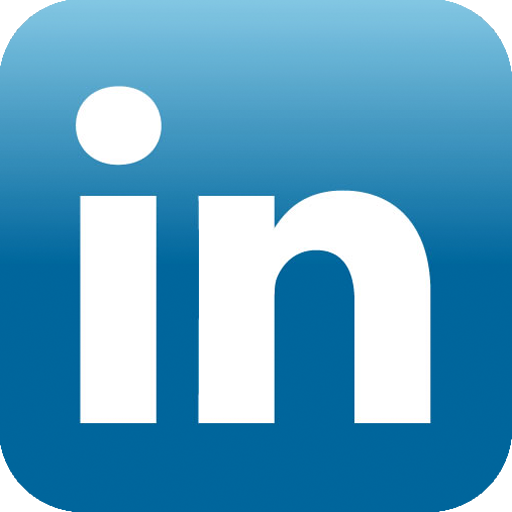 Please see the AT, LLC Employment section for a complete listing. Argent Tech does pay a finder’s fee to anyone who brings these personnel to their attention if AT, LLC hires them. 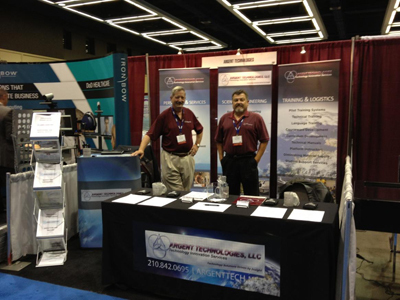 San Antonio, TX — Argent Technologies, LLC attended the Aerospace Medicine Association (AsMA) conference in San Diego, CA. AT, LLC was on site May 8 through 16. It was a well-attended event and AT, LLC sponsored the first ever “All Services Social.” The social was hosted by Army, Navy and Air Force medical societies and held aboard the USS Midway (CV-41) aircraft carrier. The party was set on the flight and hangar deck of the vessel. The Swing Era Theme was popular and drew a large crowd of Aeromedical Physicians from all services. 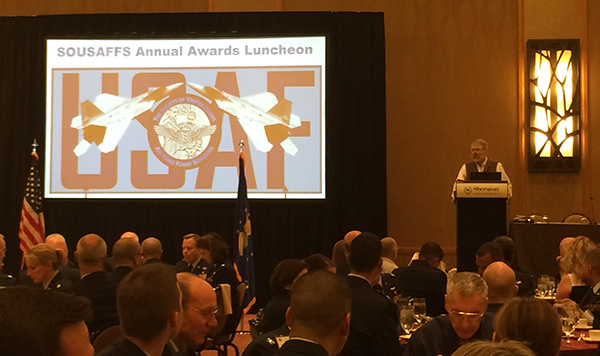 The AT, LLC team was fortunate to meet many leaders from the various services in the field of aerospace medicine. The team also obtained resumes and discovered new business opportunities making the event productive, as well as entertaining. San Antonio, TX — Argent Technologies, LLC was awarded contract number FA4610-12-R-0032 to provide one full time equivalent flight surgeon supporting the 30 Missile wing at Vandenberg AFB, CA. AT, LLC will act as the prime contractor and was awarded this contract based on strong past performance, competitive pricing and deemed the best value to the USG. AT, LLC looks forward to continuing our support of the 30 Missile Wing and space flight operations at Vandenberg AFB, CA. San Antonio, TX — Argent Technologies, LLC has been named as the prime contractor to provide one full time equivalent flight surgeon to support flight operations and dependent health care services at the 7th Bomb Wing located at Dyess AFB, Texas. The task order RFQ 853532 was released from the 7th Contracting Squadron at Dyess AFB and constitutes the first win for AT, LLC under their new GSA contract award. It is a multi-year placement with a starting value of $793,396.40. San Antonio, TX — Argent Technologies, LLC has been awarded a Federal Service Supply List number under contract #797-FSS-00-0115-R3 for services procured through the GSA for SIN 621-I “Professional and Allied Health Care Services”, 621-001 Physician (Aerospace Medicine) active as of 15 February 2014. This will greatly expand the company's ability to submit bids as the prime contractor to provide ambulatory health care services to the USG at competitive rates. AT, LLC is excited to be partners with the GSA and look forward to expanding their footprint in providing healthcare professionals to the USG. San Antonio, TX — Argent Technologies, LLC continues to grow as we partnered with PPDG Inc and Saratoga Inc, to provide Aerospace Physicians at Columbus AFB, MS and Tyndall AFB FL. We also partnered with Whitestone Consulting to provide Aeromedical physicians at Cannon and Kirtland AFB, NM. Argent is the subcontractor to these partners who cite Argent’s past performance in providing these highly specialized personnel, the quality of the résumés for the doctors offered and the ability to locate these types of professionals on short notice as reasons for partnering on these programs. Argent looks forward to continued expansion via these type teaming arrangements and welcome the opportunity to work with strong partners such as these. We are also pleased to continue our business footprint with the renewal of our contract as the prime contractor at Vandenberg AFB to support the missile flight operations with a highly qualified aeromedical physician. We are pleased to report we now fill 62% of all contract billets for aeromedical physicians in the USAF. Finally, in a first, we attended the AMSUS conference in Seattle, WA, as exhibitors with a trade show booth and goodies to hand out. We made some great contacts, attended events hosted by the conference, met with USAF leadership in aerospace medicine and signed on three more aeromedical physicians for placement in summer of 2014. It was a fun and productive venture and paves the way to participation in several other professional conferences in the upcoming year. San Antonio, TX — Argent Technologies, LLC business continues to grow as they have partnered with Glocoms, LLC and Global Consulting International to provide Aerospace Physicians at Dyess AFB, TX and Keesler AFB, MS respectively. We are pleased to increase our business footprint and to support the B-1 mission at Dyess AFB and the training mission at Keesler. Argent is the subcontractor to these partners who cite Argent’s past performance in providing these highly specialized personnel, the quality of the résumés for the doctors offered and the ability to locate these types of professionals on short notice as reasons for partnering on these programs. Argent looks forward to continued expansion via these type teaming arrangements and welcome the opportunity to work with strong partners such as these. San Antonio, TX — Argent Technologies, LLC has been awarded a contract by the US Air Force to provide two aeromedical physicians supporting the USAF space mission at Vandenberg AFB, Lompoc California. Argent Technologies, LLC is the prime contractor on the contract. Spokes persons at the 30th Contracting Squadron cited Argent’s record of past performance in providing these highly specialized personnel, the quality of the résumés for the doctors offered and the best price as representing the “best value” to the US Government. Our physicians are anxious to get under way at Vandenberg and pleased to be a part of the USAF team. Argent is very pleased to support the space mission at Vandenberg and we look forward to an exciting partnership with the US Air Force on the west coast. San Antonio, TX — The US Air Force recently extended its contract with Argent Technologies, LLC at Aviano AB, Italy, for aeromedical physician support services to Jan of 2013. Argent Technologies, LLC provides aeromedical physician services supporting flight operations of the 31 FW. This extension marks another successful milestone in collaborations with the USG in supporting overseas contact positions for professional services. This recent extensions demonstrates our capability to provide highly qualified personnel with specialized skill sets world-wide in support of operations, training and logistics in both the private and public sectors. San Antonio, TX — Argent Technologies expanded its footprint this month to provide contract aeromedical physician services through collaboration with two new industry giants in the medical support services business. We’ve signed on with Professional Performance Development Group, Inc, based in San Antonio, TX to provide aeromedical physicians at Moody AFB, GA and at Columbus AFB, MS supporting combat flight operations at the 347th FW and flight training operations at the 14th FTW respectively. We also teamed with Luke & Associates, Inc based in Florida to provide an aeromedical physician at the high operations tempo and highly visible clinic at Nellis AFB, Las Vegas NV, home of the USAF Thunderbirds, Red Flag and global combat operations for the Predator and Reaper Unmanned Aerial Systems. As a result of these latest agreements, AT, LLC is now partnered with American Hospital Services Group, Global Consulting International, Federal Staffing Services, Luke & Associates, Professional Performance Development Group, Spectrum Health, and Terra-Health, Inc. These strategic partnerships present the capability to team with businesses that are contractors on several USAF basic ordering contracting instruments and provides access to women owned, 8a, SDVOSB and other lucrative contract designations for set aside business. 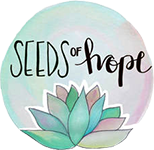 This network greatly increases our ability to support medical needs on a global basis. San Antonio, TX — We are pleased to announce that Argent Technologies, LLC was awarded Contract #FA 5682-11-T-0049 in September of 2011 to provide contract Aeromedical Physician services supporting the operational mission of the 31st Fighter Wing, Aviano AB, Italy. On short notice, AT, LLC placed a fully qualified and credentialed Resident of Aerospace Medicine (RAM) trained Flight Surgeon on station (November of 2011) to support the 31st Medical Group flight medicine clinic. This latest award is a vote of confidence on the part of our biggest customer, the United States Government (USG), and demonstrates our ability to provide high technology services and skilled personnel supporting the USG global mission. We at AT, LLC look forward to providing top notch services in collaboration with the USG in support of the 31st Medical Group mission. Feel free to contact us with any questions regarding this activity or about our ability to support your mission.